When was the last time you updated the paint on your home? Did you know you should repaint the exterior of your home every 5-7 years?! We just completed an exterior paint project! Our client was thrilled and sent us before and after pictures. Check it out! Call us today for a free estimate! 316-259-9912! Ally construction has the best roofers in Wichita and has a million dollar insurance policy so you have nothing to worry about. We will help you with your insurance claim so it is painless and you get to enjoy your new roof much quicker. We are locally owned and family owned. If you have any question about our Wichita roofing services please call (316) 259-9912 or visit our website at www.AllyConstruction.com. At Ally construction, we want you to “consider us your ally” and use our services from everything from handyman services, home improvements, roofing, building and office maintenance to the construction project you have wanted to take care of your entire life. We will do it for you and you will love it! At Ally Construction we believe that you should live in the house that you want to live in. If you have a house that you love but you know the wall colors are not up to par with your style than call Ally Construction. We don’t only do construction in Wichita, roofing in Wichita, maintenance in Wichita but we are your handyman service in Wichita, KS. We do everything from changing windows, cleaning offices, changing locks, to painting. Right now is a busy time for many offices. You more than likely have people coming in and out of your office. You may have some areas that need to be touched up. 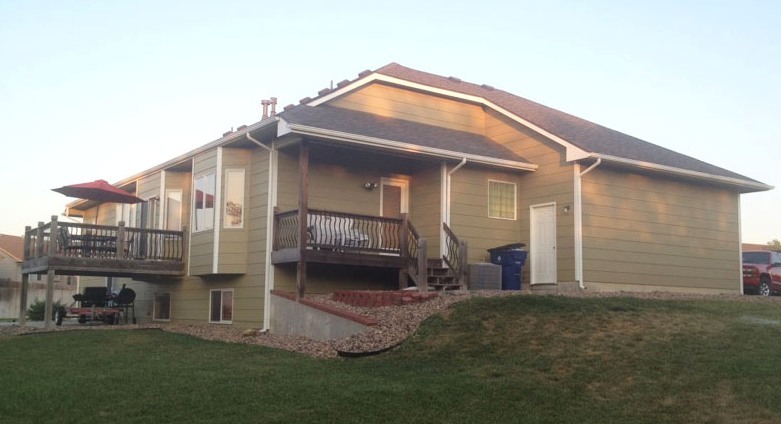 Call Ally Construction for your painting in Wichita, KS. Maybe you need a room or your entire home painted. Ally Construction does both interior and exterior painting. We promise you will love your new paint job. We have many happy customers. Call us today and schedule your new paint job. Wanna paint your house this summer? We do it all! We do painting, home improvements, maintenance and anything you might have in mind! Call today for your free consultation. Facebook, Twitter, Youtube, Google+ and now Pinterest! Wow, social media can seem a little overwhelming these days. At Ally Construction, we want to stay connected to all our customers and clients through their favorite social media. We have been able to stay on top of the three big ones. We know there are other sites out there that you might enjoy seeing Ally Construction upload some content to. If this is the case feel free to e-mail, follow us on your favorite social media and let us know. Other social media sites we are looking into joining are Google+, Pinterest and Instagram. What do you think? We have recently joined Thumbtack. Ever heard of that site? We liked it, because we could put up our information and have a nice mini website for our business, it's under Wichita Roofing Contractor - Ally Construction - Wichita,KS Roofing. The goal of our social media is to help you find us much easier. We are hoping that all this helps you to find the best wichita roofing contractor in Wichita,KS. We hope you choose us and will be glad to serve you. That is what we are here for; To make sure that when we leave your home it looks better than it ever did and you are happy! At Ally Construciton we want you to consider us your ally when it comes to roofing, remodeling, construction, janitorial services. It's important that your attic be properly vented to provide circulation both in the Winter and the Summer. During the winter its important that the attic receive fresh air from outside to keep it cool. If the attic were to get too warm in the winter it could cause snow on your roof to melt and refreeze in your gutters. This is called Ice Damming and can damage your roof. During the summer the attic needs proper ventilation to remove the hot air. 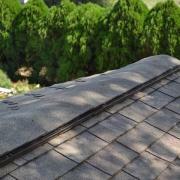 This helps to remove moisture from the air as well as protecting the roof shingles. Wind Turbine: Also sometimes called 'whirlybird' vents. These non-electric vents use wind and air pressure to remove air from the attic. These are quite common in area's where it is consistently windy and cost is a factor. Roof Louvers: Simple covered openings which allow air to escape from the attic. Generally several vents will be required to be evenly space accross your roof. These are preferred over wall louvers which can cause hot spots. 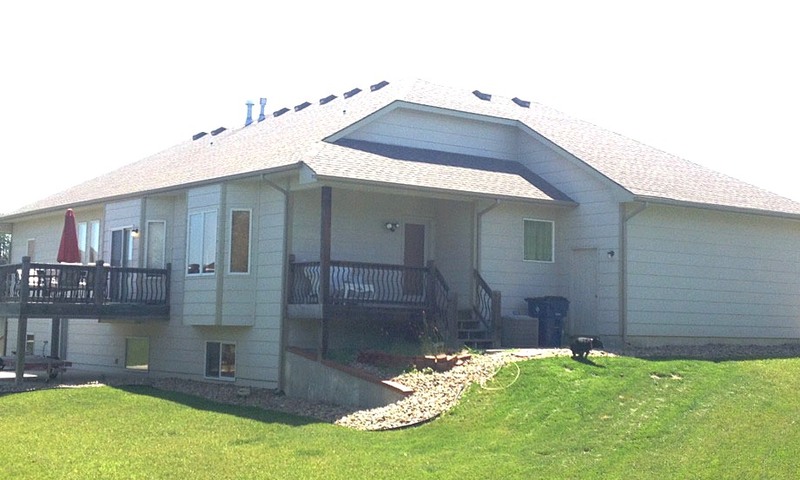 Ridge Vents: Pictured below, ridge vents run the entire length of the roof. Ridge vents are visually appealing as they blend in to the roof much better than the alternatives. They also provide more evenly distributed ventilation. What type of ventilation is right for me? There is quite a lot to consider when redoing your roof but we can help you! Give us a call at (316) 259-9912 and we can answer all your questions. We provide free estimates. Many homeowners don't realize the amount of time that is spent doing prep work prior to painting. Generally most of the time spent on a paint job is the prep work. Why is proper preparation important? Proper preparation is the key to a long lasting high quality paint job. If your painting surface is not properly prepared you will only be creating more work for yourself later. A poor quality paint job is time spent wasted as paint will not adhere correctly and will not last nearly as long as a quality paint job. Your house could also be at risk for water damage if proper preparation is not taken. What is done during the preparation phase? Prior to painting all loose paint must be scraped free. Loose paint that is not removed prior to painting can easily ruin any paint job. 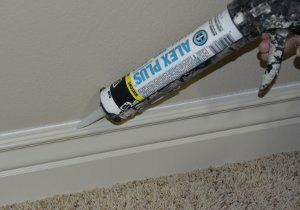 Also important is to caulk around all windows and gaps. Any gaps not addressed can allow water to penetrate into the house causing future water damage. There are also many other importants preparation steps to consider depending on the type of siding and trim currently on your house. Proper preparation prior to painting for outdoor(and indoor) paint jobs is the most important step to ensuring a long lasting and good looking finish. Do you need a high quality professional paint job in the Wichita area? Contact us here at Ally Construction for a free bid today! Call 316-259-9912.